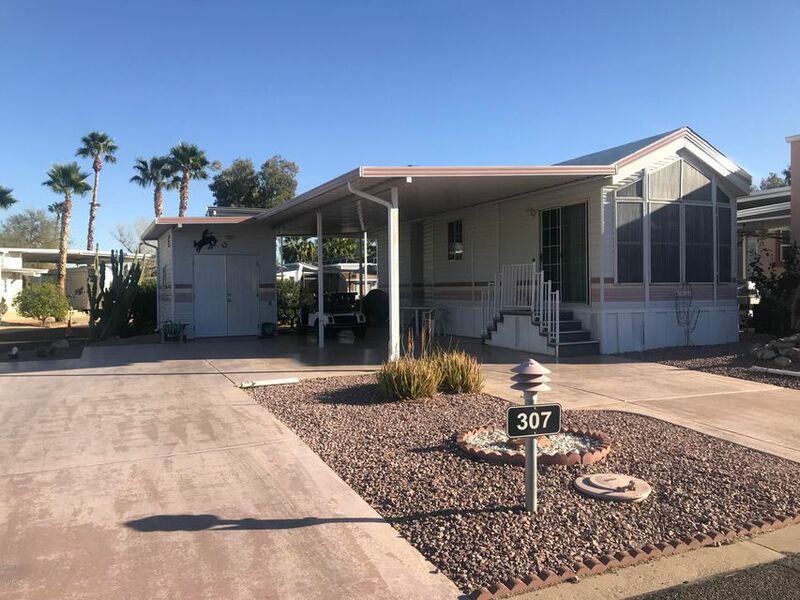 All HAPPY TRAILS RESORTS NO 1 homes currently listed for sale in Surprise as of 04/23/2019 are shown below. You can change the search criteria at any time by pressing the 'Change Search' button below. "This is amazing and unique property in Happy Trails Resort! 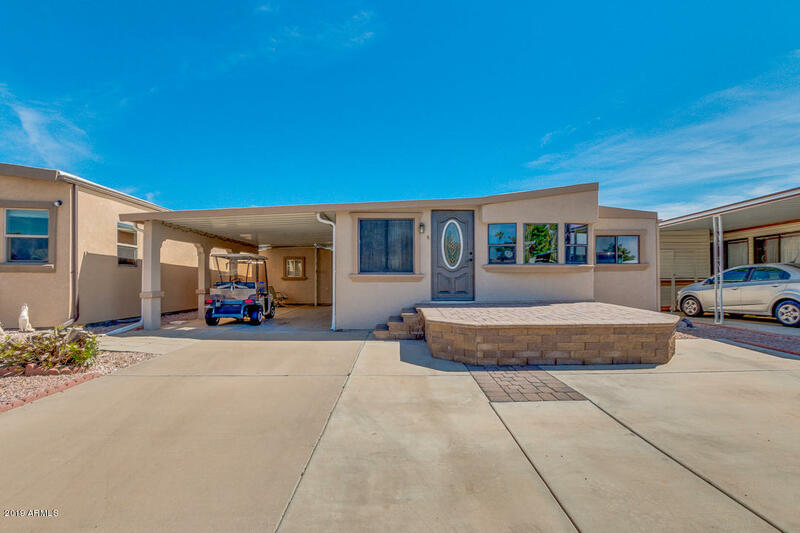 This lot has a 2009 home that is in pristine shape! You walk into the family room with adjoining dining area. The U-Shaped kitchen has stainless appliances! A double door fridge, built in microwave and a dishwasher! The bathroom has tub/shower combo. The bedroom is open with full wall mirrored closet, making the room look very large and providing plenty of storage. Out the back door is an Arizona Room. 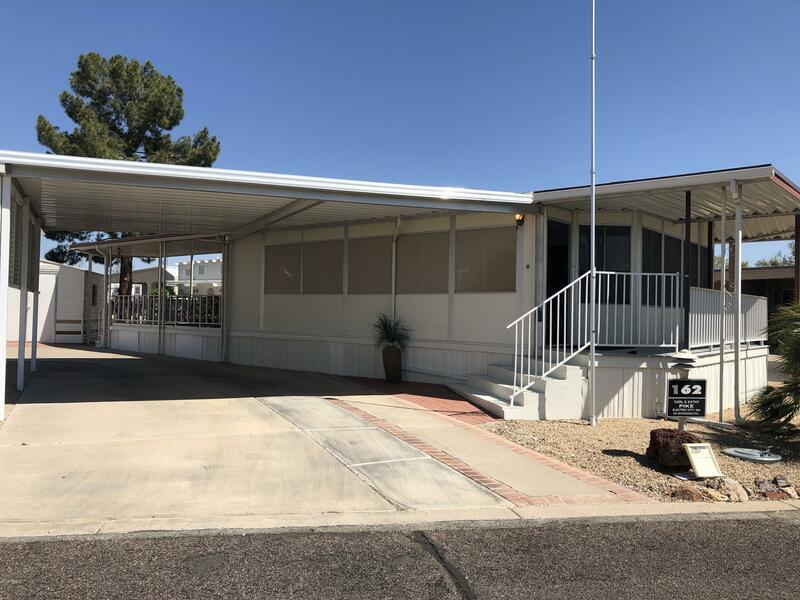 This would be perfect for"
"WONDERFUL 2 bedroom 2 bathroom, approx 1,350SF home in the highly desirable community of Happy Trails! Consists of approx 399SF park model, additional master suite, living room and spacious shop with plenty of storage. Both A/C and evaporative cooling. Corner lot w 2 carport right across from the clubhouse facilities. Furniture available per separate agreement if desired. Located in a fantastic adult community with a golf course, tennis court, fitness center, and even a refreshing pool." "LARGE CORNER LOT WITH 2 BEDROOMS AND ONE BATH! Approximately 800 sq. ft. home is on a 3909 sq. ft. corner lot. Close to NC1 for your convenience. Features include: Lots of windows for very open feeling, large rear deck, great parking, split bedrooms, huge great room. 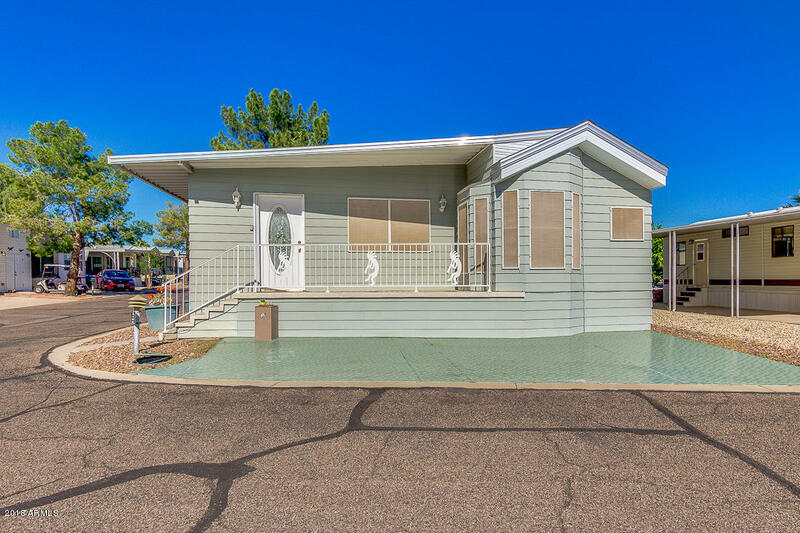 Items replaced include: Flooring, garbage disposal, water heater, dishwasher, refrigerator and front deck with composite. Being sold furnished! Shed has storage. Super cute! Come take a look!" "The Happy Trails resort has so much to offer! There are multiple pools and spas, tennis courts, pickle ball, 18 hole golf course and so much more! This one bedroom, one bathroom park model home is a great place to spend the winter or all year round. It is a large corner lot with a ton of parking." "Welcome Home to Happy Trails! This home is ready for you. Located in a community with all you could need, swimming, golf, a recreation room, activities, and workout facility. 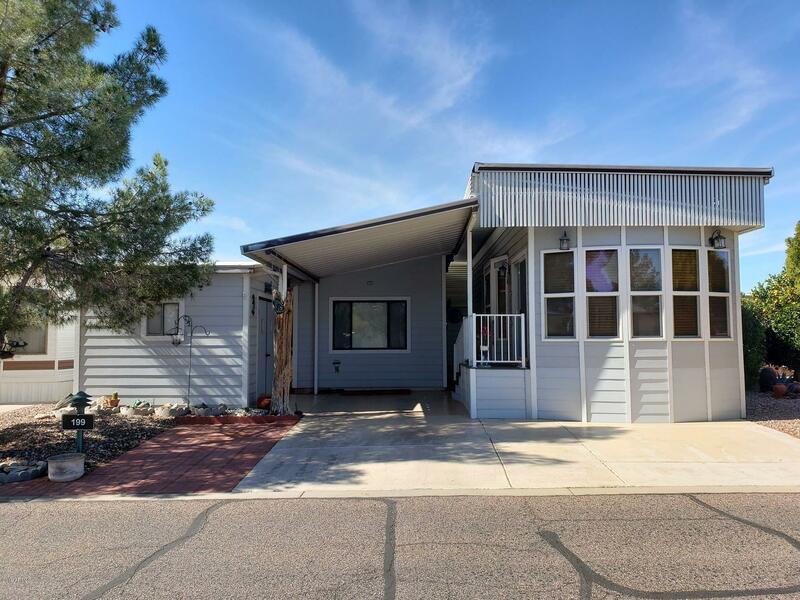 Featuring a spacious floorplan with plenty of storage you can use this a winter get away or a year round home to enjoy all that Arizona has to offer. Schedule your private showing today!"